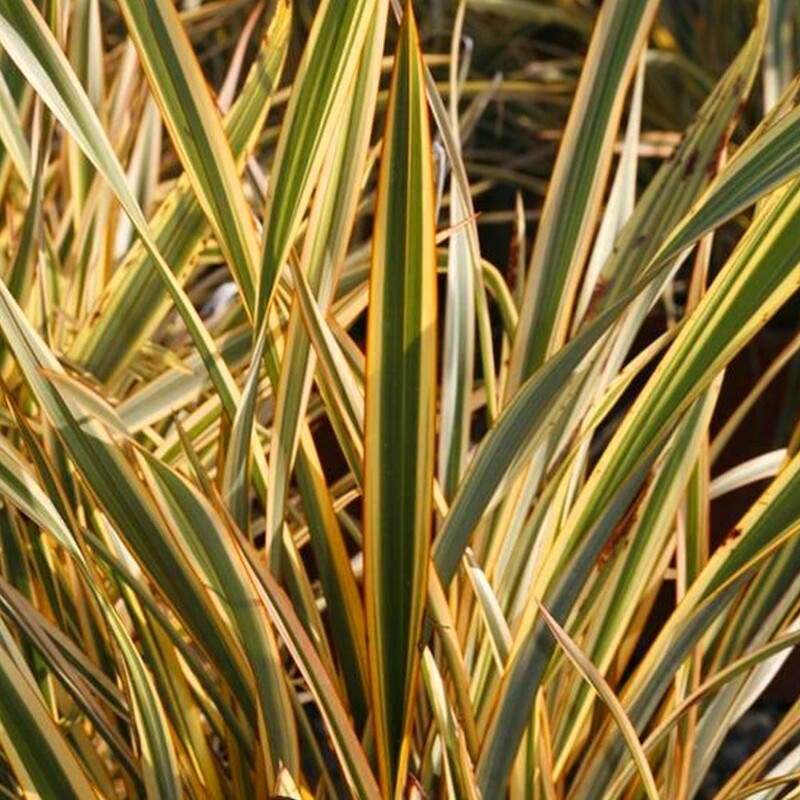 A broad plant with wide leaves that have a broad central green band surrounded by yellow stripes and thin red margins. This very atrractive cultivar of the New Zealand mountain flax, can look stunning in a modern galvanised planter surrounded by a group of other phormiums, agapanthus or grasses. In summer, flower spikes may appear - the twisted seedheads can be quite attractive too, addng an extra dimension to the winter garden when they become coated in frost. Supplied as strong, heavy grade plants in approx 5 litre containers.